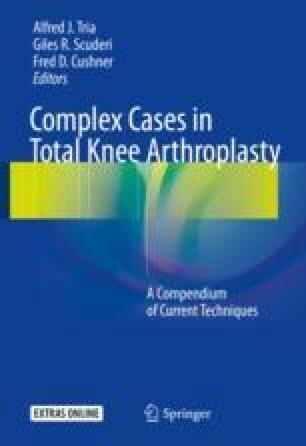 There are now several approaches to the infected knee, but complete eradication of infection seems to be near impossible. The treatment protocols include incision and drainage, immediate exchange, and two-stage reimplantation. There are multiple modifications to these approaches that do help to decrease the overall incidence of infection. Parvizi J, Gehrke T. International Consensus Group on Periprosthetic Joint Infection. Definition of periprosthetic joint infection. J Arthroplasty. 2014;29(7):1331. doi: https://doi.org/10.1016/j.arth.2014.03.009.